Taking at least one GRE mock test is an essential part of being well-prepared for the real GRE. However, not all practice tests are created equal; there is some great stuff out there, but there are also some low-quality tests that could set back your studying. Read on to find out where to get the best mock GRE tests, how to take those tests in a way that mimics taking the real GRE, and what practice material to avoid. 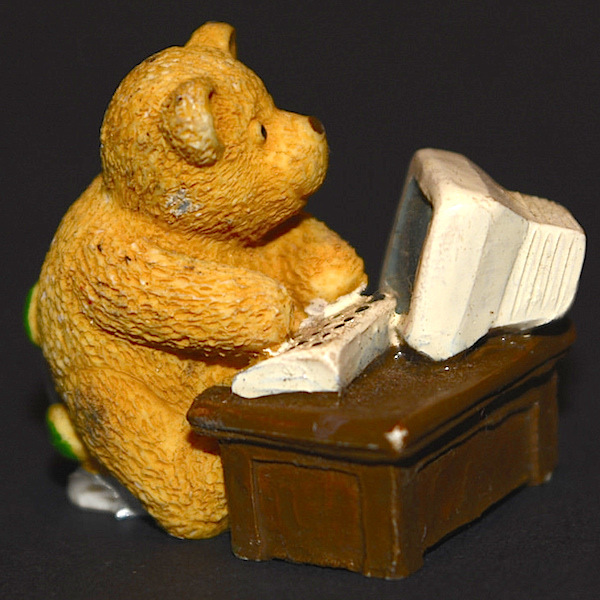 feature image credit: Computer Teddy/used under CC BY 2.0/Color-adjusted and cropped from original. What Makes a GRE Mock Test the Best? The best practice GRE is the one that’s going to give you a testing experience as close to what you’ll experience with the real GRE as possible. That means using official materials and practicing with the format you’ll be taking the test in. If you’re taking it on the computer, practice with official computerized materials; if you’re taking it on paper, practice with official paper/printable PDF materials. If you run out of official tests to take, then you’ll have to use unofficial materials, but you should only use unofficial GRE mock tests that accurately reflect what the real GRE testing experience will be like. 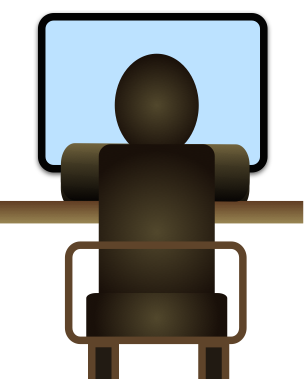 At a basic level, this means the tests should have the correct number of questions per section, correct timing, correct content, and correct format (computer or paper). At a more focused level, this means the tests should have questions that are the same difficulty as the real GRE questions and that test you in the same way real GRE questions will. We’ll start by discussing the available official GRE mock tests and the standard to which all other mock GREs should be held. ETS (the company that creates and administers the GRE) has several different free official practice tests for students to use. Which of these will be the most useful for you depends on whether you’ll be taking taking the computer- or paper-based GRE. ETS’s POWERPREP Online program contains two official computer-based GRE mock tests, and it’s absolutely free to sign up for and use. You can access PowerPrep by going into your ETS Account, adding the free PowerPrep tests to your shopping cart, and checking out. If you only take two practice tests during your studying, they should be the two timed PowerPrep tests. Not only are the PowerPrep practice tests realistic in terms of interface and timing, but they are also section-adaptive like the real test (meaning that your score on the first Verbal and Quantitative sections determine the difficulty level of the second Verbal and Quantitative sections). Because the PowerPrep tests are the best and most realistic option for taking a GRE mock test, you need to plan out ahead of time how you’re going to use these in your studying. We recommend using the first practice test in the program to get a baseline of your current GRE level, and using the second test later on in your studying to assess your progress. In between taking these official GRE practice tests, however, you’ll want to supplement your studying with other practice questions. A few of these can be found in the PowerPrep Test Preview tool, which also helps students get used to the GRE testing interface (how the questions will appear, how to answer different format questions, how to show/hide the calculator, and so on). For more on the best ways to twist every question you can out of PowerPrep, read our collection of PowerPrep tips and our article on GRE sample questions. In addition to PowerPrep, ETS has also released two PDFs that include mock GREs. If you’re taking the computer-based GRE, these PDF practice tests are great sources of additional official practice questions. The 2010-2012 practice test is mostly the same as the first mock GRE test in PowerPrep, while the 2012-present practice test is mostly the same as the second mock GRE in the program. This means that if you’re taking the computer-based GRE, you should avoid using the PDFs for practice until after you’ve taken the matching PowerPrep test. You can find one additional official GRE mock test free online, but the exam it contains is for the old, out-of-800 GRE. You can still use many of the questions in the GRE mock test included in this PDF for practice, but some Verbal Reasoning questions are out of date. For more information on which of the Verbal Reasoning questions in this book are usable, read our guide to all official free GRE practice tests. The most useful non-test, official, and free material is the set of all the Analytical Writing prompts that will ever appear on the GRE. Together, the Issue and Argument pools of topics contain over 300 prompts to practice with. Find out more about the best way to use these prompts here. The ETS website has some sample Verbal and Quantitative Reasoning questions for further practice and drilling of skills. There are also a couple of other useful PDFs that you can use specifically for the Quantitative Reasoning section. The GRE Math Review PDF contains both content review and practice problems on every topic covered on GRE Math, while the GRE Math Conventions PDF clarifies standards and assumptions made in GRE Quantitative Reasoning questions (e.g. lines are assumed to be straight lines that extend both directions infinitely). The only caveat is that neither of the Math PDFs contains actual GRE practice questions, so you should only use the PDFs to refresh yourself on the basic mathematical concepts. The bulk of your GRE Math study time should be dedicated to mock tests and practice questions. Along with the official GRE mock tests free online, there is other official prep material (including four more mock GRE tests!) you can purchase to aid your GRE studying. The number one most important official GRE prep book for purchase is The Official Guide to the GRE revised General Test ($27). This review book contains two unique full-length paper-based GRE mock tests that aren’t found in any other resource (paid or free). While the practice tests in the book aren’t adaptive and are in the paper-based GRE format (meaning there is slightly less time per question than on the computer-based GRE), the fact that these tests are created by ETS makes them the next-best option for realistic practice after the PowerPrep tests. The best way to use these GRE mock tests is to take them in as close to the real GRE environment as possible, which means following the timing and directions exactly without extra breaks. Even though the sections on the computer-based GRE are shorter (both in terms of time and number of questions) than the paper-based GRE, you should make sure to follow the timing directions exactly on these paper-based tests for the most realistic testing experience. The only exception to this is with the Analytical Writing portion of the tests. You can choose to make your GRE essay practice even more realistic by using the prompts from the book tests, but typing your essays up and timing yourself using the PowerPrep Test Preview tool. If you do this, you’ll at least have a realistic computerized environment for one section of the GRE. untitled/used under CC BY-SA 2.0/cropped and resized from original. Beginning August 2017, ETS made two additional unique mock tests available for purchase. Each of the two PowerPrep Plus tests is online and adaptive, much like the regular PowerPrep tests; however, PowerPrep Plus tests also score your Analytical Writing essays using the ETS’s e-rater (the computer program that is used to grade essays for the real GRE) and give you explanations for every question. The price of the PowerPrep Plus mock tests is the main reason I’ve listed this resource as less essential than the Official Guide. The practice tests cost $39.95 each, expire after 90 days, and are one-use only; while you can review your test after you’ve taken it and see the answer explanations for 90 days, this means that if you want to retake a practice test to see if you’ve improved and get different questions in the second Verbal and Quantitative sections, you’ll have to pay $39.95 each time. For $20, the ScoreItNow! service provides scoring for two sample GRE essays using the official GRE e-rater that is used on the real test to grade essays. With your first purchase of ScoreItNow!, you’ll also get six bonus topics you can get scored on which, while not official GRE topics, will at least give you more information about what it takes to score well with the e-rater. There are currently six official GRE essay topics available (which you’d be able to access through purchasing ScoreItNow! three times). 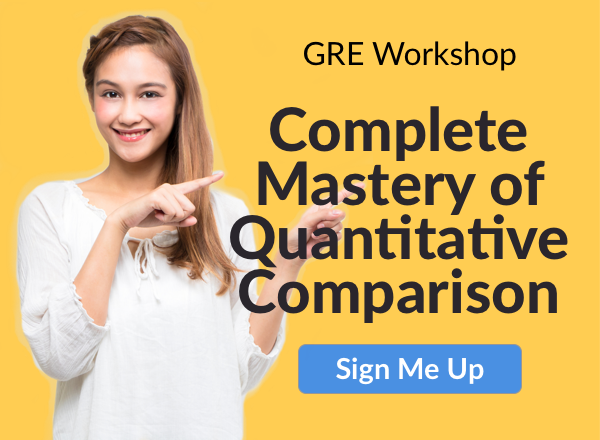 Caveats: You can’t entirely rely on this service to give you an accurate idea of how your GRE essays will be scored because on the real GRE there will be one human grader along with the e-rater. Plus, the service can get pricey; after your first purchase (which essentially gets you eight essays scored for $20), you’ll be paying the equivalent of $10/essay grading, which is a lot (especially when it’s being done by a computer, not a human). Learn more about how you can score your own GRE Analytical Writing essays in this article. ETS has released two other collections of practice GRE questions besides the Official Guide. Official GRE Verbal Reasoning Practice Questions (around $12) contains 150 verbal practice questions; Official GRE Quantitative Reasoning Practice Questions (around $14) has the same number of math practice questions. For test-takers who plan on doing intensive study for the GRE, the official ETS materials may not be enough. Fortunately, there are lots of unofficial GRE mock tests out there, but the quality of those tests varies widely and wildly from company to company. In these next two sections, we’ll tell you which unofficial mock GRE tests to use…and which to avoid. Num 1 Unofficial Bar/used under CC BY-SA 2.0/cropped, color adjusted, and resized from original. Your best option for a free unofficial computer-based GRE mock test online comes from Manhattan Prep. Their free test is section-adaptive, so you’ll receive different questions on the second Verbal and Quantitative sections determined by your performance on the first Verbal and Quantitative sections. The main issue with this practice tests is that on the Verbal sections, some of the sentence equivalence and text completion questions either use vocabulary you wouldn’t see on the real GRE or repeat the same answer choices across multiple questions. In general, though, the questions on Manhattan Prep’s free GRE mock test are very close to official GRE question in quality, making the test a good supplemental study tool. The next best unofficial GRE mock test free online comes from CATPrep (replicated on the Manhattan Review site). Their no time-limit practice test only has 5-8 questions per section instead of 20, but otherwise follows the real GRE format. Content-wise, the Quantitative Reasoning questions are realistic, so the test is useful for that; unfortunately, the Verbal Reasoning section overemphasizes reading comprehension, with passages of uneven quality. Likely the test spends so much time on reading comprehension because that’s where students struggle most and this free test is technically a diagnostic, but this feature limits the usefulness of Manhattan Review’s free test as a mock GRE. There are other free unofficial GRE mock tests online from McGraw-Hill and Kaplan, but the tests are either flawed in format (McGraw-Hill tests do not work with a standard laptop screen size or anything smaller) or content (questions on the Kaplan test are of low quality). You’re better off not using these tests at all – at best, they’ll have no impact on your preparedness; at worse, they may cause you to over- or underestimate your skill level and push your studying in the wrong direction. Non-ETS paid mock GRE tests are best used as supplements to official GRE mock tests and sample questions. As a rule, unofficial tests you have to purchase are more reliable than the unofficial free GRE mock tests because there’s some accountability – customers who are paying for a product can and should expect a certain level of quality. Because non-ETS books often do not ask questions in the same way the real GRE does, however, they are best used for reviewing weak content areas, rather than for drilling specific questions. Out of all the non-official GRE prep offerings, Manhattan Prep and Barron’s have the best unofficial GRE mock tests. For Manhattan Prep, the best way to go is to purchase one of their strategy guides, which will then allow you one-year access to six of their GRE mock tests online. These computer-based practice tests are a great way to supplement your computer-based GRE practice. You can also buy the Manhattan Prep 5lb strategy guide for additional supplemental practice, but that book does not have any full GRE mock tests included with it or in it. After Manhattan Prep, the next best option for non-official GRE tests is Barron’s 6 GRE Practice Tests, which contains six GRE mock tests. However, while the timing and number of questions per section is the same as the computer-based GRE, the tests are not adaptive or administered through a computer program like the real GRE. Barron’s main GRE review book contains a short diagnostic test at the beginning and then two paper-based tests at the end; if you purchase the physical book, you’ll also get a CD-ROM with additional practice tests. The quality of Barron’s review material is not as good as that of ETS or Manhattan Prep, but it is still acceptable for extra practice as long as you’re not solely relying on Barron’s books for your GRE studying. The worst unofficial GRE mock tests for purchase that I’ve come across are in the Kaplan Premier books. The questions are easier than the real GRE and are not asked in the same way as they would be on the real GRE. The only reason to use these materials is if you’re way below the level of real GRE questions and are new to standardized test taking, in which case the strategies might help you gain a few points. But as far as practice tests go, the Kaplan tests are must-skips. To sum up what we’ve covered in this article, we have five key tips to help you maximize the impact of every GRE mock test you take. If you only take away one thing from this article, it should be this point: when you take a GRE mock test, you should attempt to simulate the conditions of the real GRE as much as possible. It’s fine to do practice questions separate from the test, without being timed, as part of your studying; that’s useful in a different way because it allows you to narrow in on your problem areas and get serious practice in. But if you’re taking a full-length practice test, don’t just pay lip service to emulating the real GRE — use a computer-based test if possible (or paper-based, if you’ll be taking the real GRE on paper), make sure to follow the timing for each section, and take the test in a distraction-free setting – no phones, no music, no TV. The reason it’s so important to take a test under realistic conditions is that if you don’t replicate what it’s like to take the real test, you won’t get an accurate sense of how you’ll score when you do take the GRE. It’s like doing a sound check for the Superbowl halftime show for 10 minutes in a bathroom and expecting the results from that to reflect what your live performance will sound like; sure, your instruments are going to be the same, but the space and the timing is going to be way different on the day. You can’t figure out how much you need to study or how well you’re studying is working without a starting measurement for comparison. To get your baseline skill level, you’ll need to take a GRE mock test under realistic conditions (as described in the previous tip). We recommend using one of the tests included in PowerPrep Online for this baseline test (or one the free official test PDFs if you’ll be taking the paper-based GRE). Knowing your current level is a good start, but you also need to determine what GRE score to aim for. 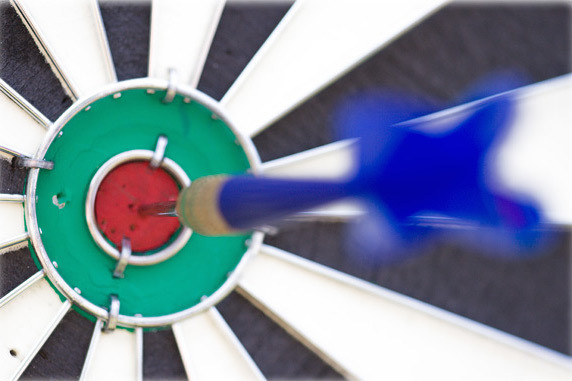 Having a specific goal in mind, rather than a vague wish for a “good score,” works in two ways. First, setting a target score allows you track your studying and assess quantitatively whether or not your studying is effective; if you’re putting in 20 hours a week but see no movement towards your target score on a mock GRE test, that’s a clear sign you need to alter your studying methods. Aiming for a specific, results-driven goal also helps increase motivation. You’re more likely to try to hit your GRE score target when you know that the result of doing so increases your acceptance into graduate programs. Choose your target GRE score by averaging together the average scores of the programs you’re applying to and aiming for an above-average score. We have more detailed information about what a good GRE score is here. On Target/used under CC BY 2.0/cropped from original. You should analyze the GRE mock test you took at the beginning of your studying to determine your starting level and zoom in on the areas you struggled with. For instance, if you struggled with Verbal Reasoning reading comprehension questions but breezed through Quantitative Reasoning, then the majority of your studying should be focused on Verbal Reasoning. It may be painful to your ego to force yourself to catalogue all your errors (particularly if you feel that some of them were stupid mistakes), but the most effective way to improve your performance is by figuring out what went wrong. Review the questions you got wrong on the initial baseline-setting mock GRE test you took and note any patterns. You can then make your studying more efficient by practicing the specific types of questions or content areas you struggle with separately and in a focused way. For specific resources to help you drill problematic questions, use our guides to GRE Math practice and GRE Verbal practice. Once you have all the information and set-up you need (baseline level, realistic testing experience, target score, weak areas), it’s time to create a study plan that you can stick to. The best study plans will make use of both mock tests (for realistic GRE practice) and practice questions (to work on specific weak areas). Good study plans are also specific about the frequency and timing of your GRE studying: rather than vaguely promising yourself that you’ll take some practice tests or do some prep, plan out specific dates between now and your test date when you’ll take mock GREs. It’s fine to be flexible if you’re moving faster or slower than expected, but always keep your eyes on the prize – and in this case, the prize is achieving your GRE target score when you take the real test. Alternate prize on which to set your eyes: finally being done with the GRE! 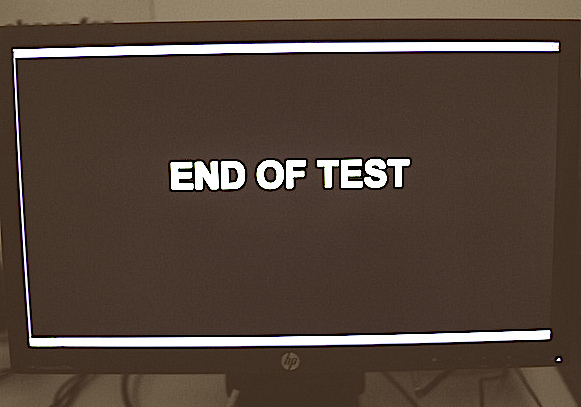 TEST_end/used under CC BY 2.0/cropped and color-adjusted from original. Looking to expand your GRE studying out beyond practice tests? We’ve created a complete guide to GRE sample questions that discusses all official GRE practice questions and the best (and worst) unofficial GRE question sources. Don’t have much time to study and want to stick to free and official mock tests? Read our article outlining exactly where to find all the free GREs out there and the best ways to use those tests. Curious about non-official GRE review books? Be sure to check out our list of the best GRE prep books, as well as individual reviews of Manhattan Prep GRE materials and Barron’s GRE.